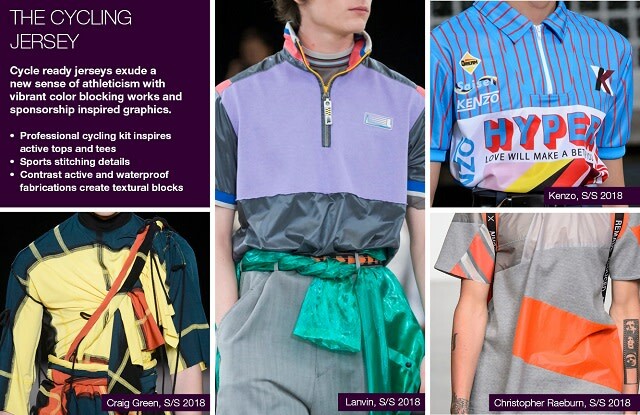 This week, the Trendstop catwalk team presents an exclusive look at three apparel directions that will be informing the SS18 season. Tops and tees get active as competitive cycling provides the inspiration for performance enhanced jerseys while Cargo Tech elevates utility pieces with a high tech twist. The Faux Denim Jacket sees an iconic style reworked and refreshed for summer in a range of fabrications, colours and prints that offer a host of new styling options. Image courtesy of Trendstop. Dirk Bikkembergs S/S 2018 collection. Cycle ready jerseys exude a new sense of athleticism with vibrant color blocking works and sponsorship inspired placement graphics. 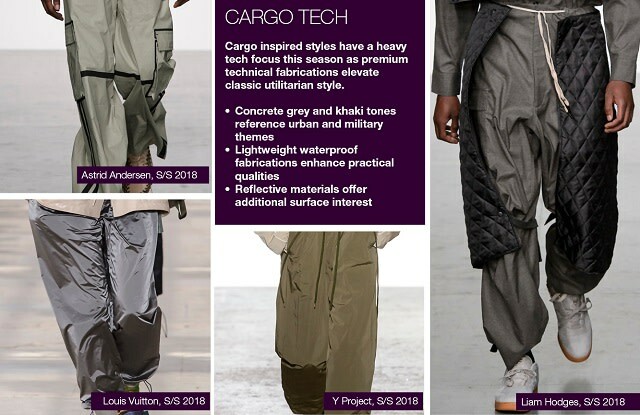 Cargo inspired styles have a heavy tech focus this season as premium technical fabrications elevate classic utilitarian style. 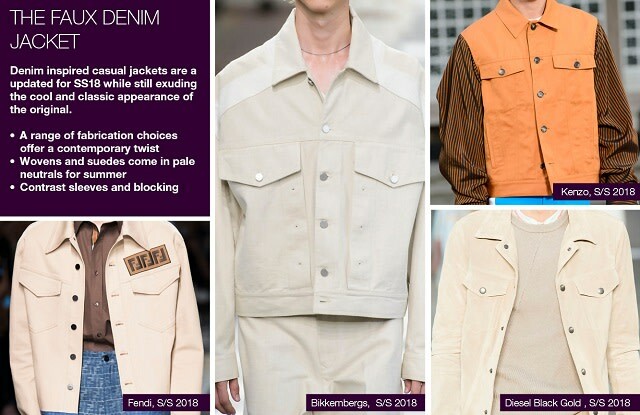 Denim inspired casual jackets are a updated for SS18 while still exuding the cool and classic appearance of the original. 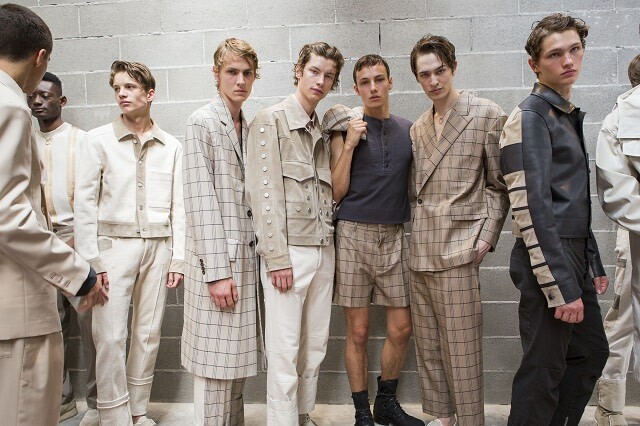 WeConnectFashion readers can get FREE ACCESS to Trendstop’s Fall Winter 2017 -18 Top 10 Collections by City Report, a curated overview of the season’s best menswear collections and key designers. Simply click here to receive your complimentary report. Simply click here, to receive your free report.